This multiyear study (2014-2016) focuses on the politics of science in complex regulatory regimes. Grounded in the fields of Science and Technology Studies (STS) and law, this project aims to conduct a comparative study of the role of science and expertise in the global regulation of biofuels and geoengineering. The goals of this project are to (a) produce generalizable knowledge about how science operates within complex (multi-level and multi-sector) regulatory architectures for emerging technologies and (b) help conceptualize and evaluate the legitimacy of regulatory science within these evolving regimes. The operation and politics of “regulatory science” within government institutions and public processes has been the subject of STS scholarship for some time (Nelkin 1984). Regulatory science can be defined as the scientific foundation of public policy decisions, whether regulatory, legislative, or judicial (FDA 2013). Work in STS and science policy has helped uncover, in nuanced ways, the politics of who makes regulatory science, using whose methods, for whom, and subject to what political consequences (e.g., Jasanoff 1987; Gieryn 1999; Sarewitz 2004). Regulatory science does not represent knowledge free of value, but rather “combines elements of scientific evidence and reasoning with large doses of social and political judgment” because the issues addressed are often situated in the realms of scientific uncertainty and contestation (Jasanoff 1990, 229). For purposes of this project, “regulatory science” as a term includes forms of technical reasoning such as risk analysis and modeling; the operation of experts and expert bodies; and norms and practices of reviewing, ratifying, or rejecting regulatory science by authoritative institutions. Scholars turning their attention to regulatory science at the global level have largely focused on the operation of regulatory science, broadly speaking, within single-sited global institutions and their community of experts. A central finding has been that these institutions can act as “empires of knowledge,” global centers of calculation and assessment, specialized knowledge, and embodied expertise (e.g., Jasanoff 2001; Miller 2007). This work has, among other things, analyzed the use of science for environmental impact assessments at the World Bank (Goldman 2005); the use of self-governance and peer review at the IPCC (Edwards & Schneider 2001); and the power dynamics in the Millennium Ecosystem Assessment (Miller 2007). Such work has been useful in its exploration of how expert assessments are assembled and how expert communities function and acquire power (Oreskes 2010; Haas 1992). However, less has been said about what political scientists and geographers would call “polycentric” or “complex” governance, which are those forms of governance with dense institutional networks spanning governance levels, scales, and sectors to address collective problems (Ostrom 2009; Biermann & Pattberg 2008). As exemplified by the near collapse of the Kyoto Protocol, top-down treaty-based approaches to global environmental problems have failed to deliver adequate solutions. In the wake of these failures, new and heterogeneous approaches that reach across governance levels, sectors, and scales have emerged (Biermann & Pattberg 2008). Regulatory approaches to global issues, from climate change to food safety, are increasingly moving away from globalizing systems and instead operating through pluralistic, overlapping, and fragmented regimes (Keohane & Victor 2010; Boyd 2010). These governance arrangements span jurisdictional levels, such as national, provincial, and local (Cash et al. 2006), as well as the private and public sector. Although hailed by some scholars and policy-makers (e.g. Ostrom 2009), these more complex regulatory systems introduce different sorts of political problems. Regulatory complexity can result in jurisdictional overlap and competition (Boyd 2010). There is growing awareness among scholars and policymakers that global governance is moving away from international treaty structures to complex, pluralist, and fragmented ones. While work in STS and other fields has looked at the role of science in global institutions, less is known about the role of science in the forms of complex or “polycentric” governance that are common today. This is an important gap. In these complex arrangements, regulatory science and diverse forms of technical reasoning move across levels of government and span the private and public sectors. In the process––through expertise, technical assessment frameworks, metrics and indicators––regulatory science is underwriting legal jurisdiction, reshaping political rights, and redistributing critical resources. This project will study regulatory science in the governance arenas of biofuels and geoengineering, where the stakes of local action can have significant material geopolitical effects, and where the terms of democratic participation at different governance levels remain unclear. Regulatory science is deeply implicated in both cases, where the methods of calculating risk, the certification of certain knowledge brokers, and the power to validate knowledge help drive policy frames, regulate access to power, and distribute resources across political groupings. These regimes are at different stages of development, yet each is currently developing greater multi-level complexity amidst top-down failures to address climate change. Understanding what ideals of democratic governance mean amidst scientific and institutional complexity requires deeper empirical and theoretical work. As a whole, the grant will enrich existing accounts of the role of expertise in global governance and produce policy relevant ideas in the arenas of biofuels and geoengineering. Synthesizing intellectual approaches from STS and law, this work promises to develop sharper theoretical tools for understanding the interrelated dimensions of legal jurisdiction, scientific authority, and democratic governance. This project is expected to have immediate and longer-term impacts. First, it responds to an urgent need for good public policy on the governance of biofuels and geoengineering, and will provide tangible ideas for improving the legitimacy of administrative process in both arenas. Second, and on a longer time scale, the project promises to provide a more systematic understanding of science and democracy that is expected to advance relevant academic fields and provide useful resources for policymakers. Addressing formidable global problems––e.g. climate change and biodiversity loss; infectious disease and food safety; draught and desertification; persistent chemical pollutants––will necessarily involve distributed forms of regulation that require the effective and legitimate operation of technical reason. This research will hopefully provide a deeper analytic and practical toolkit to address that challenge. Third, in developing democratic norms of representation and accountability, the grant will help empower groups that suffer from geographic and socioeconomic under-representation within distributed regulatory processes. Finally, the project will build human capital and infrastructure by training graduate students and a postdoctoral fellow, and strengthening academic and policy networks across nations. Flegal, Jane. 2017 Invited participant. Forum on US Solar Geoengineering Research, Washington, DC. Flegal, Jane. 2017 Panelist. “Closing Panel: Lines to Climate Engineering.” Forum for Climate Engineering Assessment: Meeting on Emerging Technologies at UC Berkeley, CA, USA. Flegal, Jane. 2017 Chair. “Forestry & Agricultural Approaches.” Carbon Dioxide Removal/Negative Emissions Technologies Workshop at UC Berkeley, CA, USA. Flegal, Jane. 2016 Workshop participant and expert advisor. Forum for Climate Engineering Assessment: Meeting of Academic Working Group at the Rockefeller Foundation Pocantico Center, Tarrytown, NY, USA. Flegal, Jane. 2016 Residency participant. Harvard University Solar Geoengineering Residency at Harvard Kennedy School, Cambridge, MA, USA. Flegal, Jane. Forum for Climate Engineering Assessment. (1 October 2015) Phone Chat: Dan Sarewitz & Jane Flegal on Public Engagement on Emerging Technologies [Audio Podcast] <http://dcgeoconsortium.org/2015/10/06/phone-chat-dan-sarewitz-and-jane-flegal/>. Flegal, Jane. “Interdisciplinarity in Controversial Regulatory Science: Modeling in Geoengineering Policy.” Presented at UC Berkley ESPM Interdisciplinary Seminar, Berkeley, CA. March 2015. Mondou, Matthieu. “Recasting Problem-Solving Interactions: Insights from Emergent Technology Policies. ” The S.NET Conference, October 18-21, 2015, Ne3ls Network/ Université Laval, Montréal, Québec. Mondou, Matthieu and David Winickoff. 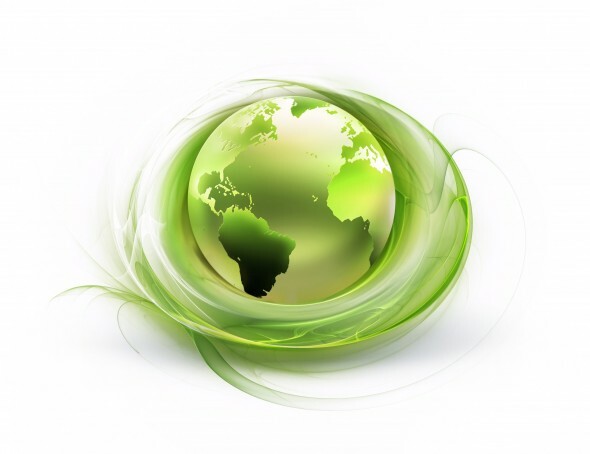 “Standardizing Sustainability: Science and the Global Administration of Biofuels. “ Workshops on Environment and Security Series, 28-29 août, 2015, Université Libre de Bruxelles. Mondou, Matthieu and David Winickoff. “Standardizing Sustainability: Regulatory Science and the Complex Biofuels Regime. ” Science and Democracy Network 14th Annual Meeting, MA, June 25-27, 2015, Harvard University, Cambridge. For more information, please contact Prof. David Winickoff.